As the city’s young move out for studies or jobs, an industry is taking their place to take care of the senior citizens left behind. A drive down Kolkata’s spine, the Eastern Metropolitan Bypass that connects the north and south, will tell you what the city is really worried about. Between signboards advertising new-age condominiums, five-star hotels and schools with “world class” facilities are a number of ads by hospitals and pharma companies promising better care for senior citizens at home and graffiti peddling nursing and ayah services. 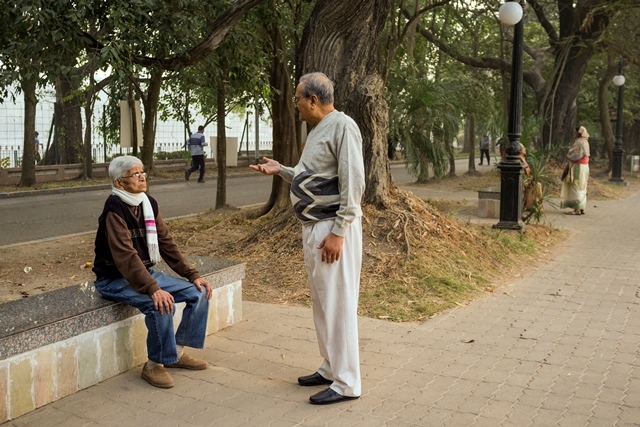 According to a Times of India report quoting census figures, Kolkata is home to more senior citizens than any other metro in India, most of whom live alone. Educated Bengalis have always moved out to other cities and countries, but in the last decade there has been an exodus of sorts of young people. Kolkata has the least number of 20-30-year-olds among metros. Caring for the elderly left behind is thus big business in the city. The Kolkata police, in collaboration with the non-profit Dignity Foundation, have set up a dedicated helpline and a service that keeps an eye on the elderly who live alone and assesses their security and medical concerns – for those who register for this service. The state has also seen significant investments by private enterprises in healthcare segment. According to government communication, 41 speciality and super speciality hospitals are coming up in West Bengal with focus on geriatric care, and a recently concluded business summit tom-toms investment proposals in this sector to the tune of Rs 1,360 crore. 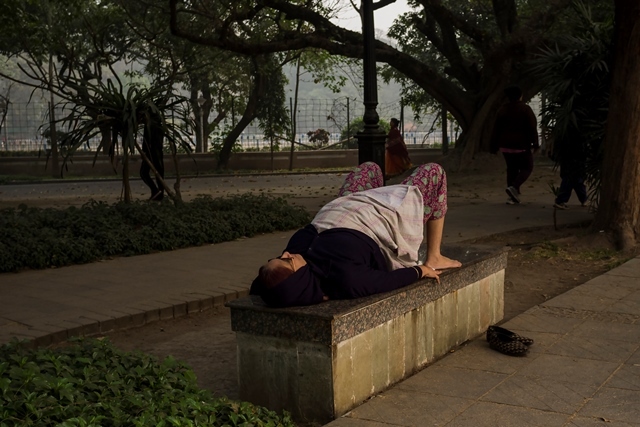 From apps that connect them to emergency services to home delivery of medicines and essentials, physiotherapists and nurses on call to resort-like facilities for those who want autumnal luxury, the elderly in Kolkata are fuelling the state economy in no small way. 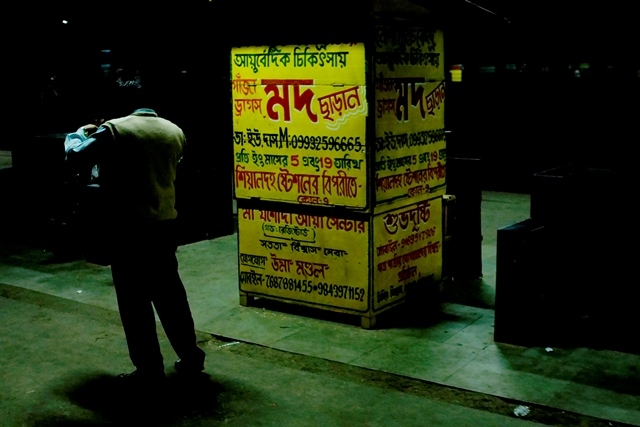 In Kolkata, the market evidently has enough potential to accommodate this fledgling business of domestic healthcare both in the organised and unorganised sectors. The former has big-ticket players such as Portea, Tribea, Medica, Care Continuum among others, while the latter includes nursing and ayah services catering to the more domestic concerns. The city ranks among the five largest cities for Portea, which is present in 17 other cities. The group offers direct services and also works through hospital partners such as Columbia Asia, providing support to their patients. Their services include doctors, nurses, nursing attendants, physiotherapists, medical equipment as well as diagnostics. “We also have specific care plans that are popular in the city such as elder care (including NRI plans), palliative care, orthopaedic care, physiotherapy, cancer care,” said Ganesh. Sanjukta Deb, operations manager at Tribeca Care, says its “one-stop community based care experience is modeled partly on the Community Care concept of the NHS [National Health Service], UK and includes a wide range of medical and non-medical support services”. Nursing, physio, elder care support, medical equipment and supplies, hospital discharge plans, psychological counselling are part of their services, though their most popular service is the elder care programme that is “being constantly developed based on consumer feedback”. In tandem with the more structured, professionally monitored services, the demand for ayahs or sebikas (attendants who provide non-medical assistance only) has grown significantly in recent years. Care was the first “professionally” managed domestic maid and ayah agency founded by the enterprising Sharmeela Chatterjee from Salt Lake, the affluent suburb in eastern Kolkata. The company, which now has outposts all over the country, is coping with an increasing demand for trusted sebikas for elderly citizens, says Probir Acharya, a coordinator. Besides a caution deposit of Rs 10,000, the services of the registered sebikas come for Rs 270 per day and upwards depending on the job and the hours. Care is headquartered in Salt Lake (official name Bidhannagar after the former Chief Minister, Dr Bidhan Chandra Ray, who visualised it), the country’s first planned satellite city. Set up in 1958, it was home to the city’s intellectual elite during the Left Front rule and to senior government officials. While the newer parts of Salt Lake city have turned into IT hubs, generating employment for the young, most of this township is residential with large parks, recreational centres and quiet, leafy bylanes. The problem in this “sprawling old age facility” – as locals and residents point out – is peculiar. What was once a beautiful township of independent villas, low-rise apartments and planned colonies for the middle and upper-middle class, is now a study in extremes – islands of commercial buzz with stretches of desolation. Almost every household here misses its young residents, who have mostly moved abroad on jobs or for higher studies. The elderly live in paranoia, shutting out the world every evening, thanks to the volatile political situation here (the recent civic polls turned the neighbourhood into a hotbed of political violence). When Deep Probeen Porisheba (specialising in in-home services with a focus on assistance with counselling, mobility, technology and other social roles) first set up their offices here, they encountered locked doors. “No one trusts anyone here,” said Shirsha Guha, director, who came back from the US to drive Deep Probeen Porisheba. Some of the colonies have installed CCTV cameras and beefed up security, but the bigger concerns remain. Public transport is still a problem within Salt Lake, save for cycle rickshaws. But the rickshaw, as also the bus, is a challenge for the elderly who find it difficult to clamber on and get down from it. Unless there is a car and a chauffeur on duty, the elderly are trapped in their homes for all practical purposes. Not surprisingly, the demand for specialised care for the elderly is high here. The township is serviced by Apollo, Columbia Asia and AMRI hospitals in the immediate vicinity and has easy access to Sankara Nethralaya, Rabindranath Tagore Institute of Cardiac Sciences, Ruby General Hospital, Medica and Peerless along the bypass. However, most people will not entertain professional care givers, unless they have been recommended by someone they know well. The directories here list 40 or so registered agencies dealing with ayah and nursing services. There are at least as many more that are unlisted and function purely through word-of-mouth. 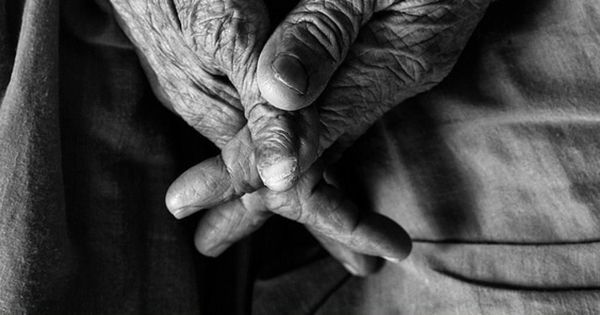 There is another factor contributing to the isolation of the elderly in Salt Lake. The civic body did not permit elevators in most houses up to four floors till recently. This did not really matter until the families shrunk and there was no one to run errands or even assist the elderly when they needed to visit their doctors or get some fresh air. In colonies such as Purbachal, which faces the glamorous Hyatt Regency Hotel, discussions on installing elevators have been in limbo with most members hesitating to dish out the money despite the inconvenience caused to the senior citizens living on higher floors. This is where the hospitals and care giving agencies have sensed opportunity. Some of the more popular services include assisted living – helping the elderly get out of the house, go for their walks, visit the ATM, go shopping or meet a friend. According to Shirsha Guha, the problem began in the 1980s and ‘90s, with the breakdown of the education system and dismal job scene. A marketing professional attached to one of the service providers claims he has received calls from Indians living in Australia and the US, who have sought his help to sell off their ancestral property, move their parents to a well-appointed apartment or old age home. He has not recommended any facility so far, citing the incident of how his employer’s relative was financially exploited at a well-known old age facility run by a religious trust. Despite the challenges and the loneliness, most senior citizens prefer to cling on to their soil than brave hassle-prone travel. So when they are desperate enough to dial the helpline numbers or ask for help, what are they looking for? According to Deep Probeen Porisheba, it is “companionship”, the most popular service in their repertoire. “Most senior citizens are lonely and unhappy. They just need someone to talk to,” said Guha. Take the instance of the Mondals in Dhakuria. Their only child lives in Australia. They lead a reasonably active life and have enough to not worry about emergency hospitalisation. Problem arose when both of them were afflicted with severe arthritis and mobility was restricted. The trips to Australia and other vacations came to a stop. Being bedridden exacerbated their depression. Their son, Sarbajeet, enlisted the help of Deep Probeen Porisheba and a physiotherapist was appointed to visit them at home twice a week. After a year, the Mondals say the sahayak, as the professionals are called, is more of a family member whose presence helps enliven the quiet home. “He has helped me manage my aches and pains and we went on a vacation to Himachal recently,” said Indrajit Mondal (72). “But more than anything else, we enjoy his company and look forward to his visits,” said his wife Meera (63). What makes the arrangement even sweeter is the fact that the son manages everything from Australia – subscription fees, dealing with reports and discussing further treatments or adding services. Not everyone is comfortable with the idea of opening their doors to rank strangers when they are at their most vulnerable. The Sens of Ballygunje Circular Road, for instance, preferred to continue with the nurses and sebikas who had been recommended by relatives or had taken care of them while they had been hospitalised. The sons – Rajesh and Anamit Sen – were both working in different cities, when their mother suffered a stroke, paralysing her. This was followed by their father’s illness. Since 2010, the family has been relying on a support system of two daytime nurses, two sebikas for the night for both parents, and a trusted family chauffeur who does odd jobs and runs errands. “For most people of a certain generation, there is a huge trust issue when it comes to letting anyone into the house. 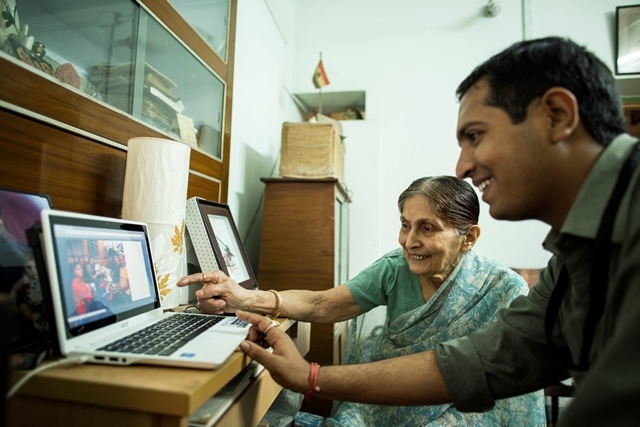 They prefer to go by recommendations of other family members and friends than look up the internet,” said Anamit Sen, who recently moved back to Kolkata and joined his brother who had moved back earlier to take care of their parents. For most professionals living in the US or UK, moving back to Kolkata is not an option. “When you have worked hard for a citizenship, you don’t want to give everything up. The annual visits are not enough and you are constantly worrying about the well-being of your parents,” said Guha, who believes the situation in Kolkata is different from that in Kerala where most of the professionals leave on temporary visas to the Middle East countries. Not all the subscribers to these services live alone in the city. According to data provided by the service providers, a significant chunk of the requests come in from the sons and daughters who live in the same city but are unable to give enough time and attention to their elderly parents. Whether it is a sebika who comes highly recommended for the Sens or a sahayak who helps Anima Roy Choudhuri of Golf Green to Skype with her daughter in the US and go for afternoon walks or deal with legal work, none of these services come cheap. “Kolkata is an extremely price-sensitive market,” said Guha, who has had problems creating awareness about the exact nature of the services her company offers. One can expect to shell out anything upwards of Rs 7,000-10,000 for any one of the services offered by the companies and hospitals. Tribeca says its pricing is affordable, customised and caters to people of all socio-economic backgrounds. But it is not easy convincing the parents to sign up for the services. Many of them are not comfortable with the idea of spending their children’s money, and some are so unhappy with the arrangement that they do not want their help.